A curious sea lion took an unexpected shopping trip to the La Jolla Cave Store last month. 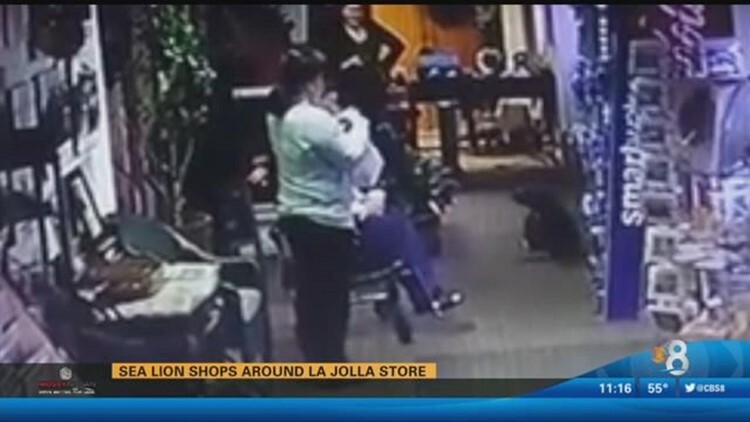 LA JOLLA (CBS 8) - A curious sea lion took an unexpected shopping trip to the La Jolla Cave Store last month. "the shells, he liked the shells. I think he was trying to get dinner," said Jim Allen, owner of the La Jolla Cave Store. The animal made it up 145 steps from the cave to the store. He browed the aisles for about ten minutes before workers used salmon to coax him out the back door, across the lawn and back down to the beach. The store's owner said he had sea lions come part-way up the stairs in the past, but never all the way into the store.